We all love the sizzling Florida sun, but unfortunately, not all flowers and plants are as fond of direct sunlight. Planting a garden under some shade not only allows you to cultivate plants that aren’t highly heat-tolerant, but it also has some bonus advantages like increased moisture retention. To make sure your shady garden is successful, there are a few things you should keep in mind. Take a look at some of these helpful guidelines for planting in the shade. Regardless of the type of plant you’re growing in your shade garden, these steps are sure to provide a host of benefits for all your garden greenery. Evaluate your soil quality. The condition of your soil makes a big impact on the outcomes of your shade gardening endeavors. Testing soil pH, checking soil texture (is it too sandy or too clay-heavy? ), and amending it accordingly will start you off on the right path. Adding in some nutrient-rich compost will always help the cause, so mix a generous amount into your soil, especially if it isn’t in great condition. Try not to plant anything too close to tree roots, because trees tend to hog all the nutrients in the soil, depriving plants of the food they need to thrive. Identify the type of shade your plant prefers. There are three levels of shade: dappled, partial, and deep shade. Dappled shade is when an area has a moderate amount of shade with little pockets of sunlight peeking through, which you’ll typically find when you plant gardens underneath a canopy of tree leaves. Partial shade has indirect sunlight, and deep shade has no direct sun at all. Different plants have different preferences for the amount of shade they like, so try to pick a collection of plants with similar preferences so they’ll all grow successfully. Pay attention to the shade line from season to season. Areas that are full shade in the winter can become full-sun by the time the summer happens. Pay attention to which parts of your yard are truly shaded when you’re planting species that might be sensitive to the sun. Apply a layer of mulch to the soil. Mulch helps to regulate soil temperature and further retain moisture. While shade does help to block the sun from drying up moisture, it can sometimes block rain from reaching the soil too. Layering on some mulch will help to lock in that precious moisture, so you don’t need to water your garden quite as often. Philodendron – These plants are classics that are hard to mess up! The family offers a variety of plants so there is a look for any garden. We love growing our trailing Philodendron on trellises or in hanging baskets to make the most of their shape, but there are tropical, broad-leafed upright varieties as well. Alocasia – These broad-leaf beauties are the perfect way to bring a little bit of architectural statement into your garden. We find that one of their more impressive aspects is their broad foliage, which gives them a tropical rainforest look. Keep these plants away from pets and children though, as they can be toxic! 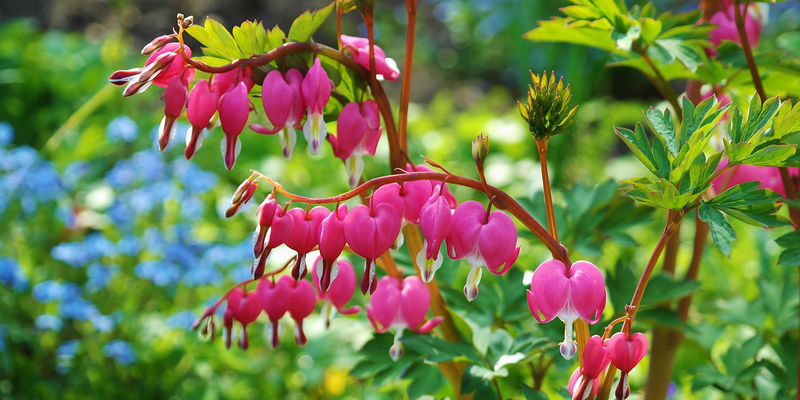 Bleeding Hearts – Bleeding hearts love our warm Florida climate, but they also prefer to have some shade. These pretty pink blossoms will brighten up your shady garden and add a touch of femininity. Cane Begonias – These plants are popular for their impressive blooms, dripping with pendant-like flowers. Some of the most popular types include Angel Wing and Dragon Wing Begonias, though almost all are great choices to bring interest to your shaded corners. Crossandra – These heavy bloomers don’t skimp on performance in their sheltered location. Enjoy their unique oblong leaves and their peachy-coral blooms that are a pleasant surprise from the shadows. Our favorite is the appropriately named Orange Marmalade! Crotons – These plants might not have impressive blooms, but their foliage is enough of a statement on its own! 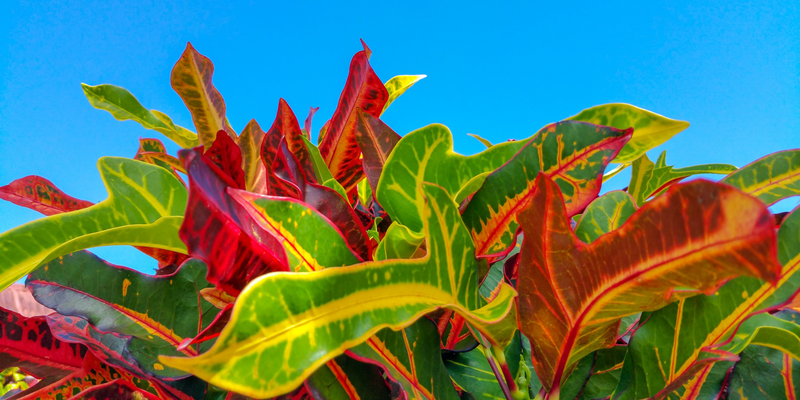 Tropical broad leaves are decorated with shades or yellow and red all year, making these another partial shade plant that is ready to take center stage. For a bolder shaded statement, there are lots of plants that grow to a more impressive size that are ready to thrive in a sheltered part of your yard. Rhapis And Bamboo Palms are great choices for a larger statement in your yard. These palms are upright growing and offer a fun and unique texture to your yard that you might not find in other plants in your yard. 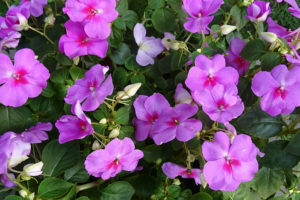 For folks who like redesigning and customizing their garden each year, these shade-tolerant annuals are sure to win you over with their beautiful blooms. Begonias – These popular flowers come in many varieties, and while most do quite well in our climate, there are a few types that aren’t as keen on Florida weather. Steer clear of Rieger or Rex begonias, and instead opt for Wax, Cane, or Rhizomatous begonias. New Guinea Impatiens – These vibrant blooms are the quintessential shade garden flower, adding gorgeous pops of color and texture. 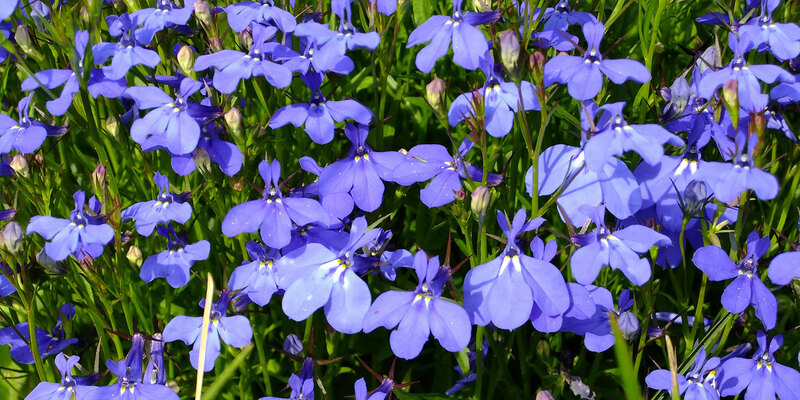 Lobelia – This groundcover plant likes indirect sunlight, adding a sprinkle of sweet pastel tones to your garden landscape. Sometimes if conditions are just right, they may poke back up the following spring, but they’re typically considered to be an annual. Sweet Alyssum – These tiny little white flowers have such a lovely aroma. Their delicate nature will add softness and balance out the more vivid blossoms in your shade garden. A tree-lined yard with lots of shade shouldn’t bar you from having a beautiful garden that’s healthy and thriving. A little research into shade-loving plants and some adequate soil preparation will ensure that your shady garden remains a spectacular sight to behold.